The poster is part of the ’poster forest” located outside the m.a.x. 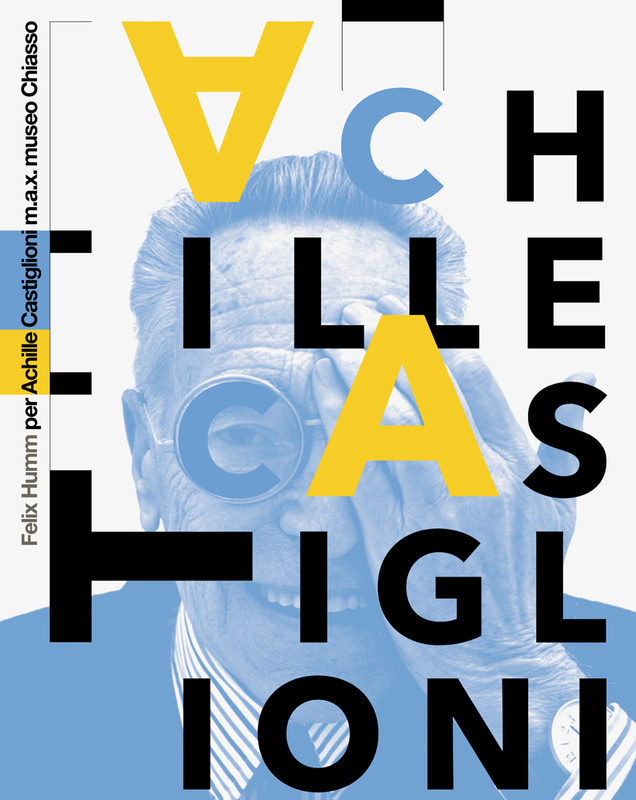 museum in Chiasso for the exhibition ’Achille Castiglioni visionary’. 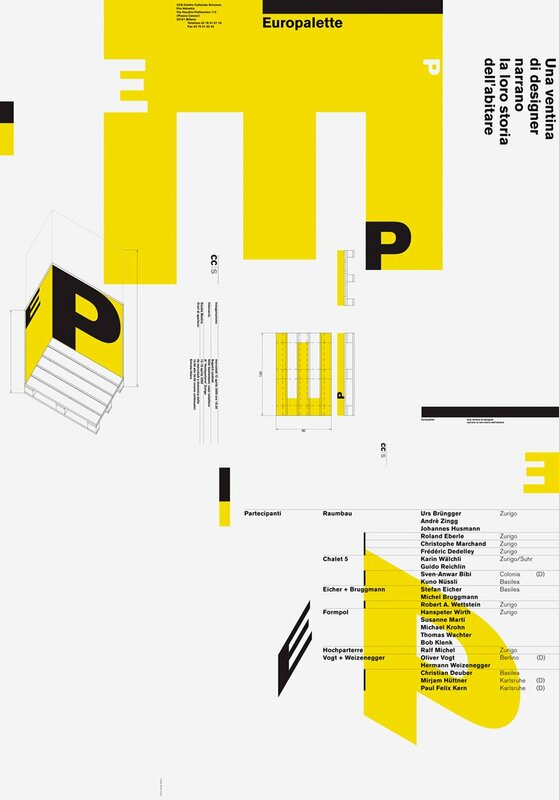 An affectionate tribute to Achille Castiglioni by 22 international graphic designers. These 70x100 posters were printed in single digital copies and displayed at the entrances to the various exhibitions. An idealistic commission, but one I also saw as prestigious and typographically stimulating. Most of these posters have ended up in the renowned collection of the Museum für Gestaltung in Zurich, where they are presented to the students of the Hochschule für Gestaltung. 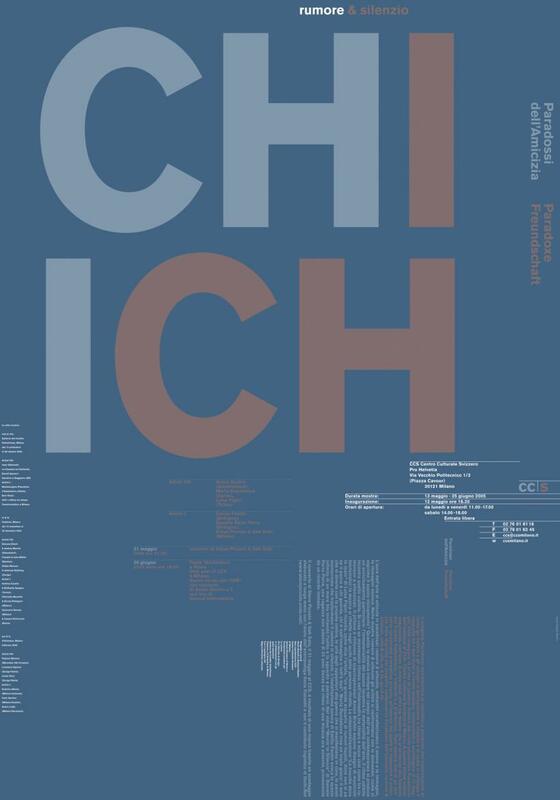 The first poster was shown in the exhibition ’100 years of Swiss Graphic Design’ at the Zurich Museum für Gestaltung in 2012. 3 of 5 Posters sent as international participation in the exhibition ’Bless China - Commemoration of 5.12 China’s Massive Earthquake’ at the RCM Art Museum Nanjing from 9.12-9.28 2008.